Ricky Williams, formerly a Pro Bowl NFL player and currently a "Facilitator" in a group called Access Consciousness, is not concerned with your scrutiny. Ricky Williams is under the control of a cult. Such was the rumor when the former Heisman Trophy winner and NFL league-leading rusher accepted a $50,000 donation in 2012 for his Ricky Williams Foundation from Gary Douglas, creator and leader of a mysterious spiritual group called Access Consciousness. How does it feel to be accused of being a cult member? "It doesn&apos;t elicit any feelings," Williams says. His voice on the phone is calm, light, and buoyant. Speaking with Williams feels less like a conversation and more like a therapy session. He listens intently and gives straightforward responses that often come off as blunt, but never rude. When I speak, he doesn’t interrupt. When he feels I’m finished, he allows a brief pause that serves the dual purpose of assuring my completion and allowing him a chance to formulate a response. It feels as if he’s listening not just in anticipation of his turn to speak, but to fully comprehend what is being said. Now, this is where I should specifically tell you what Access Consciousness is and what they do. The only problem is I’m not totally sure because they never totally reveal themselves—at least not for free. Visiting Access’ site provides about as much initial clarity as a Young Thug speed reading session. At its base, Access markets itself as a set of tools capable of teaching you how to be free of judgment and any other mental roadblocks that might hinder you achieving your greatest potential, or as their website says, “Access provides you with ways to become totally aware and to begin to function as the conscious being you truly are.” Sounds less like a mission statement and more like the functioning definition of Adderall. Further reading alludes to different “courses” and “tools” that Access supplies its (paying) members in order to reach that hallowed state of mental nirvana. One such tool is a procedure known as “Running the Bars” where trained Access members (called “Facilitators”) touch 32 specific points on your head to release “all the limiting thoughts, ideas, attitudes, decisions, and beliefs that you have ever had, about anything.” Afterwards, Access uses “questions and verbal techniques” and up to seven different levels of courses to help you reach peak awareness. The specifics of what each class offers and at what price are on their FAQ, but overall public access to Access is opaque and vague. But we do know some things. We also know that Mr. Douglas expressed intentions of expanding his teachings to schools not long before his donation to the Ricky Williams Foundation, an organization founded “to be instrumental in the physical, mental, emotional and educational development of at-risk individuals from low social-economic communities.” We know the partnership between Access, Williams, and his foundation raised red flags. Within weeks of the donation, publications accused Douglas of turning the RWF into “a training ground for [Access Consciousness].” In accepting Douglas’ money, Williams had “transformed his foundation into an outlet for delivering the controversial teachings of Access Consciousness to the underprivileged children who attended his campus.” This was a serious, dubious threat. Until it wasn’t. Four years removed from the donorship that launched a thousand what-the-hell’s and prompted one writer to go so far as mention Williams and Jerry Sandusky in the same breath, there is nothing scandalous to talk about. Williams—and his foundation—aren’t just still kicking, they’re flourishing. His foundation continues to forge partnerships and serve the community while Williams himself continues his work as an Access Facilitator while embarking on budding entrepreneur. Williams remains today as fascinating as ever. Yes, he’s still eccentric, but he’s also apparently free of the CTE trauma that often plagues former NFL players, happier than he’s ever been, living with no regrets, and looking forward to what’s next. Ricky Williams isn&apos;t deaf to the criticism. He just doesn&apos;t care. By the time he left the University of Texas in 1998, Williams was all of these things. Sporting his idiosyncratic untamed dreadlocks, Williams became a two-time All-American and Heisman trophy winner who held or shared 20 different NCAA records. During that stint he also played minor league baseball for the Philadelphia Phillies and was drafted in 1998 by the Montreal Expos, ultimately choosing to forgo a baseball career in lieu of the NFL, a move he says he regrets. If there is anything nowadays capable of unnerving Williams’ otherwise Zen demeanor, it’s a lack of curiosity. In Williams’ world, the importance of asking questions supersedes that of getting answers. Understanding this is critical to recognizing why his time spent within the rigid, preordained constructs of the National Football League was so tumultuous. It was asking these questions that inadvertently brought about the behavior that made Williams infamous. Annoyed with the celebrity and judgment of the NFL (while experiencing what would later be diagnosed as social anxiety disorder), Williams began to act out. He conducted interviews with his helmet on and behind a tinted visor to avoid contact with the media. During the offseason he disappeared for months to rural Australia where no one knew his name. He became increasingly interested in “pseudosciences” like Ayurvedic medicine and osteopathy and increasingly disinterested in the absolute science of an NFL drug test. He’d famously fail two of those during his two seasons with the Dolphins. By 2004, after five years in the NFL and at the age of 24, Williams retired from football. It was during this first retirement that Williams became “mildly obsessed” with the life of Jesus Christ, religion, and spirituality. It was also when he learned of Access Consciousness. 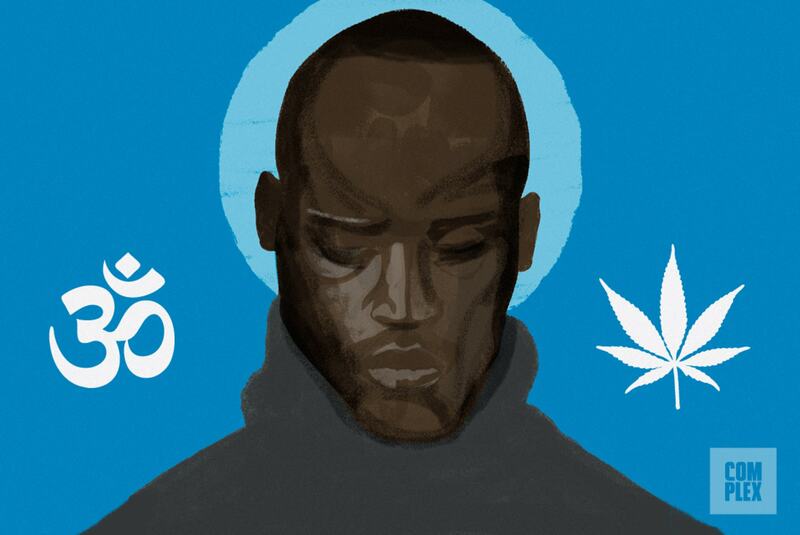 These are perhaps the defining characteristics of Ricky Williams—the ability to remain wholly unbothered by how others view him and the ability to live his life free of the burdens of dogma. “People try to fit Access into a box,” says Dr. Dain Heer, Access Consciousness&apos; co-creator, when asked about Access&apos; biggest misconceptions. Heer is charming and enthusiastic and looks more like The Bachelor than a spiritual leader. If Douglas is the name behind Access, Dr. Heer is the face. Fifteen years ago, reeling from physical, mental, emotional, and sexual abuse, Heer was on the verge of suicide before meeting Gary Douglas. The living leader of the group becomes an object of worship. The leader is authoritarian. In large part with members who defer to the leader to make value judgments. There is a thought reform program that is evident within group’s training, or indoctrination process. If we’re to consider this group destructive, we look to see if the group exploits or does harm to the members. For $1800, accessories could learn the secrets of accessing some of the transformative powers usually reserved for members of Gryffindor, Slytherin, Hufflepuff, and Ravenclaw. Talents like the ability to physically shift your appearance (transmogrification), the ability to morph something from what it appears to be into something different (transfiguration), the ability to move from one location to another without car, plane, train, or bus (transmigration), and six other mutating hacks. Williams alludes to having his own “inner experiences” while meditating, so channeling isn’t that crazy a phenomena to him. He laughs mid-sentence, realizing even after basically calling tens of thousands of people rigid and boring, he’s only half done.